Like I mentioned yesterday, my first project of 2015 was putting together my winter capsule wardrobe, which will last me through March. 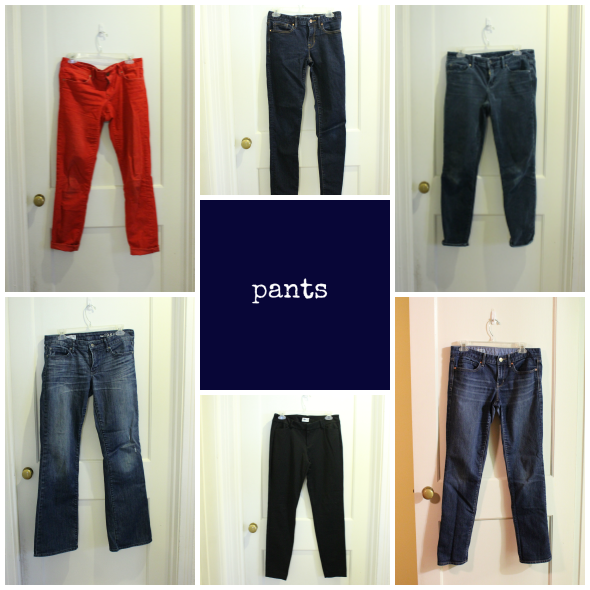 I had such a positive experience with a capsule wardrobe this fall, it was a no-brainer for me to create a winter capsule as well. I'm really striving to simplify and streamline my life as much as possible so I don't feel overloaded, and therefore over-stressed. 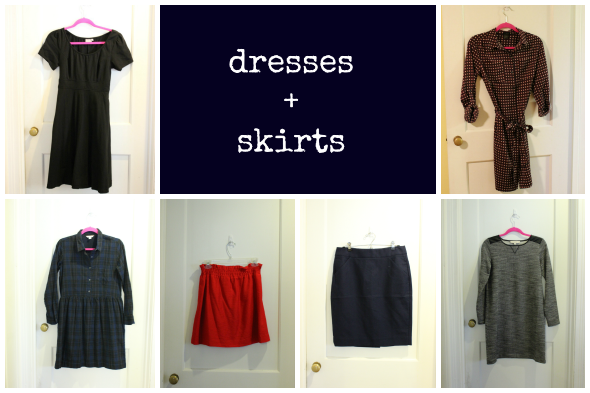 Having a pared-down wardrobe fits right in with that concept. Choosing the pieces for this capsule was both easier and harder than when I created my fall capsule. It was easier because I had a better sense of what styles are "me" and what I know I'll wear again and again and not get bored with. However, it was harder because of time. Theoretically I had all of December to plot and plan, but the reality is that I tend to procrastinate. And also, December = Christmas, so there's that too. So I planned, shopped, and organized everything during the last week of December. 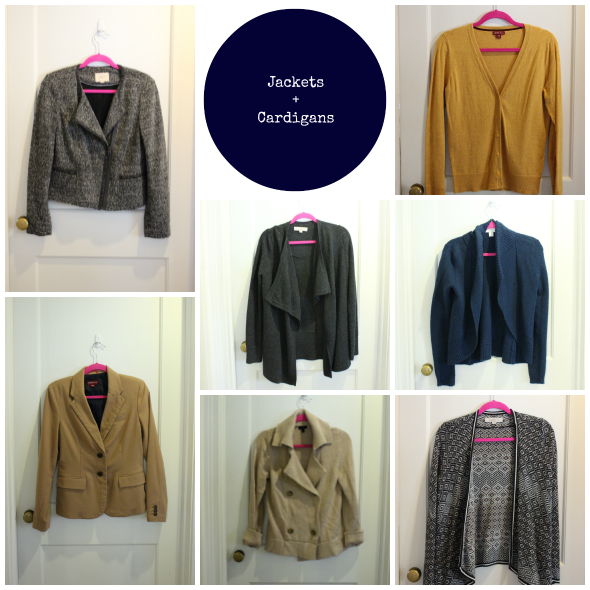 I'm linking up with In Residence and Just Jacq for the Winter Wardrobe Capsule Showcase. 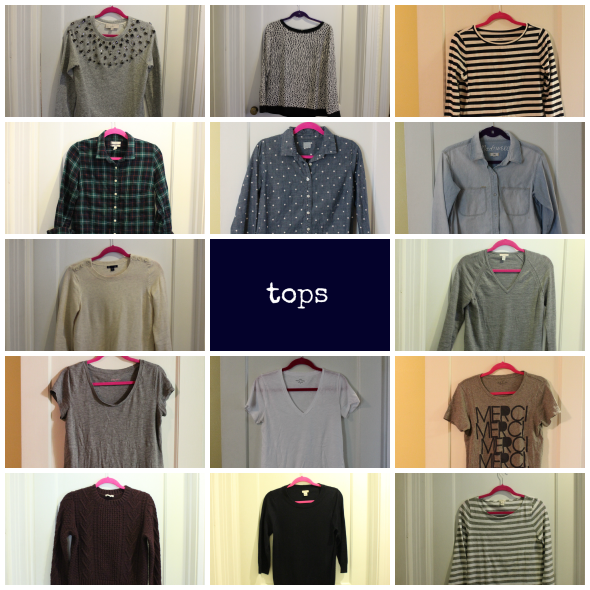 I'm always so impressed by everyone's capsule wardrobes! I should really try to do one at some point here! Thanks! I really am surprised with how much I like doing it. Hopefully this season is no different! Seriously SO COLD in KC right now. The high is like 8 tomorrow- I GIVE UP. Thanks! Yes, I agree that it will totally be worth it. I hope that with each season/capsule, it will get better and better. Once I get a "real" job I want to do one of these. Unfortunately my work uniform is all black so it wouldn't be as fun right now. Yeah I don't blame you for not wanting to restrict your non-work wardrobe if your work wardrobe is already restricted to just one color :) I guess you already are doing an all-black capsule for work! So happy you're including those Nine West pink pumps and the leopard flats. Those are two of my favorites. I love that Loft dress you picked up. Can't wait to see how you style it. Thanks Megan! I love those too and I'm hoping there will be a few days that I can bare my ankles and wear them (other than with tights of course)! And the Loft dress is one I'm still on the fence about, just because it's pretty thick and not very layer-able. But I do really like it. I LOVE those pink pump! This makes me think berry shoes or a berry colored purse are in my future! I'm slowly working on that as well. I try bit by bit clean out my wardrobe and think what I need not what I want. It's just makes life easy, saves money and as silly maybe it sounds it makes me feel better. Not so overwhelmed by things. I would need one more cardigan, because after cleaning wardrobe I was left with none and before Christmas I bought white, so maybe grey would be good. JYou have such a great selection. Love your color choices - my color palette is pretty similar. Also I see you have a pair of Pixie Pants. I LOVE Mine! Thanks!! 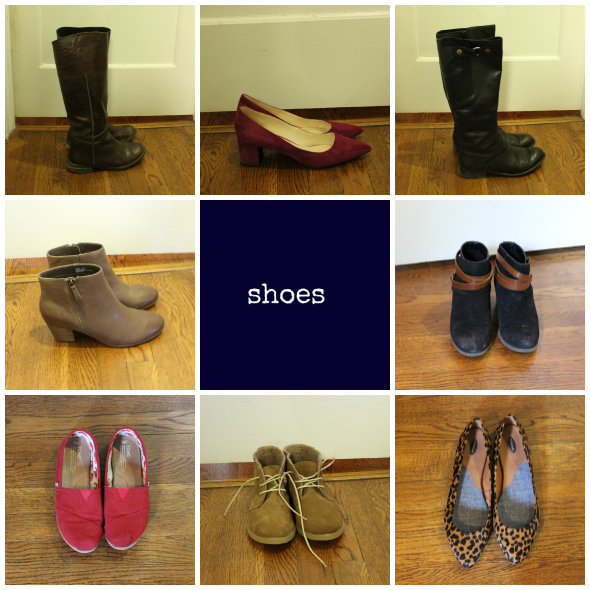 I have so many neutrals in my closet that sometimes I just need to wear pink shoes! Thanks--I tried to add some color to keep me from getting too gray. I need a little color to cheer me up this time of year! And yay for the Pixie pants! Thanks :) I think it can be hard too, but for some reason the whole capsule thing really "stuck" for me. But I try to give myself some flexibility so I don't feel too limited. As always I'm in love with your shoes!